Our main aim in acquiring Alvecote Wood was to develop the site to preserve existing wildlife habitat and to develop new habitats. 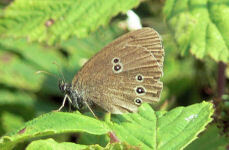 The needs of the wildlife are thus paramount in our plans for the site. We are very keen not just to focus on furry and feathery beasts, but on all elements of the ecosystem, including insects and the smaller and less showy plants. We are very fortunate in that a local naturalist, Maurice Arnold, has been making wildlife surveys on the site for 40+ years, and thus we have a fantastic record of species present on the site, not just currently, but recording their development over the years, while land use has been changing. A full species list from Maurice Arnold's observations can be downloaded as a pdf. This section of our web site gives lists of species present on the site, together with a list of species observed on different dates. Please visit the relevant links to view historical lists of animals, plants and birds on the site.